One of the cutest cards ever! 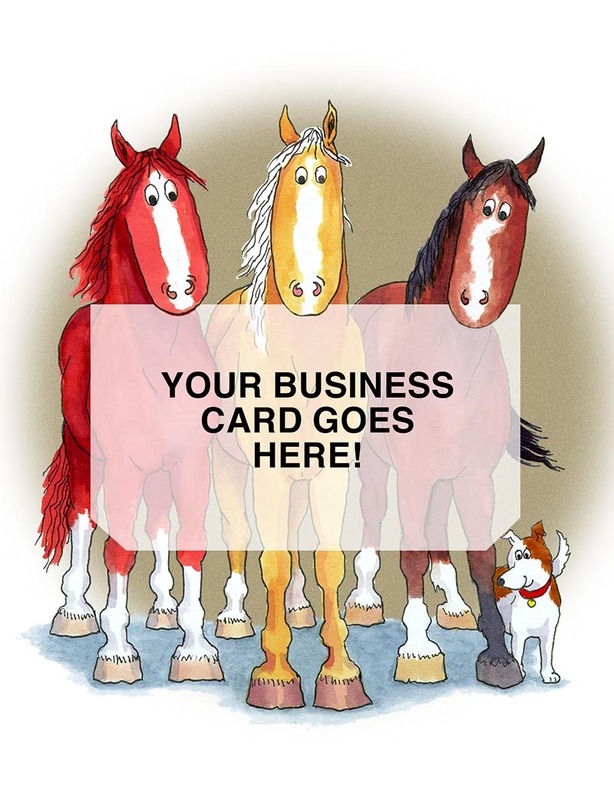 Front is die-cut so a business card can be inserted into the mouths of the horses. Great for holiday greetings, thanks for referrals, announcements, etc. Inside: blank so you can write your own note. Artwork by Gina Keesling. THERE ARE DOZENS OF USES FOR THIS UNIQUE CARD!